I'm excitedly preparing to head down to Beyond Brookledge! 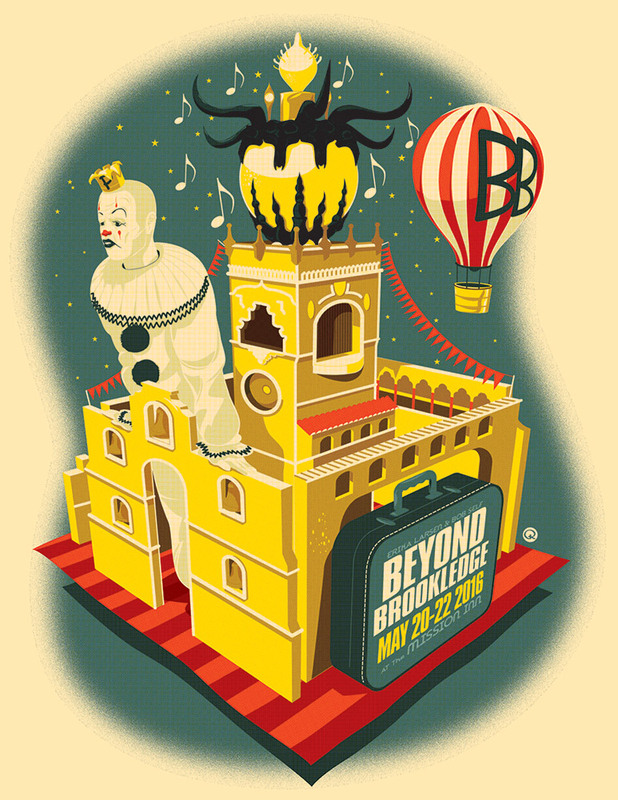 Gaze upon this year’s Beyond Brookledge giclée poster (which will be gifted to event attendees along with a few other treasures May 20-21st at the Mission Inn in Riverside). The art is by Ragnar who also created the imagery for the Beyond Brookledge 2013 and 2014 posters. As always, visual treats will be abound throughout the weekend-long whirlwind of magic, music and comedy. Connoisseurs of Walking Your Octopus creator Brian Kesinger’s art, board game aficionados, and devotees of the alternative histories of acclaimed author Tim Powers are sure to be pleased with the event’s mysterious and exhilarating goings-on. A few tickets (very few) are still available at http://beyondbrookledge.com… but they are only recommended for those who are daring enough to plunge headlong into an art and entertainment wonderland. Erika Larsen curates the best live shows I have ever seen. Bob Self puts on the most amazing events. Once a year the two of them throw Beyond Brookledge, an amazing private weekend of magic and mayhem.